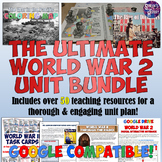 tool for project based learning and differentiated learning about ww2. Students will complete a menu style project. Rubric is attached. This project is fantastic! 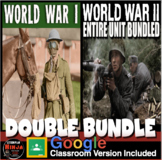 It is primary source based and allows the students to let the questions drive the answers to the top 7 or 11 events in World War II. Here is what is included: 1. Project sheet- list of directions for the project 2. List of questions to get students started on the project3. 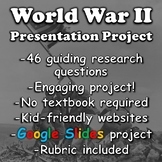 Great project to do as an introductory assignment to the novel on WWII. 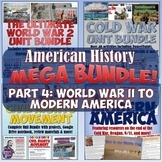 Have them read any article on WWII in order to have them complete this assignment. 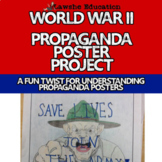 Poster/Model/Essay Project for WWII with example topics and criteria. Great summative (test) grade for a project. 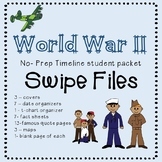 Students have to create a resume over one of the listed leaders of WWII. It includes instructions and a rubric students will be graded on. 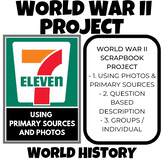 World war 2 group project, that explores the homefront and major theaters of the war.